Lisa Ireland, A brilliant new voice in rural romance, invites you to Linden Gully and the Wedding of the Year . . . When celebrity novelist Johanna Morgan surprises everyone by arriving back in Linden Gully three weeks early for her best friend's wedding, she's shocked to find her ex-boyfriend Ryan Galloway is back too and well integrated in the community as the local vet. Jo's maid-of-honour duties are not the only thing that's brought her home. The family homestead of Yarrapinga is now her responsibility, and Jo needs to decide whether to keep it - and replace old memories with new ones - or sell it and cut off all ties to her childhood and her home. Ryan has brought his young daughter home to Linden Gully to provide stability after the death of her mother. The last thing he needs is Jo's return, and all of the emotional turmoil that she brings with her. Thrown together as attendants at their best friends' wedding, Jo and Ryan have no choice but to grin and bear all the tension. But it's not only resentment lingering between them. The attraction is still there, and the heat and the memories. 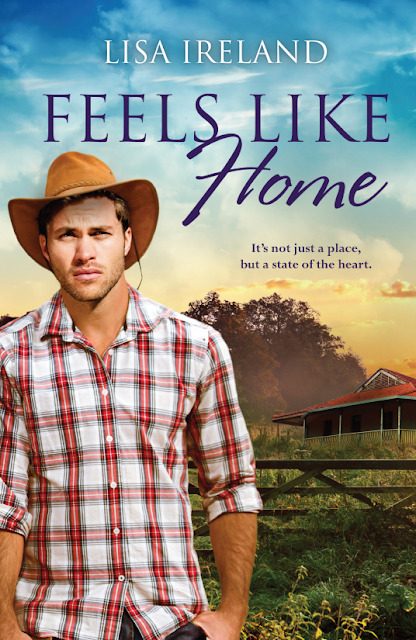 They say you can't come home again, but maybe, for Jo and Ryan, home is not just a place, but a state of the heart. Feels Like Home is Lisa Ireland's second novel, and the first that I have read by her. It has a solid plot and strong characters. Jo Morgan left Linden Gully six years ago, promising her boyfriend Ryan that she'd return to him after she had completed her degree in New York - that was until she found out that he'd gotten another girl pregnant in her absence. Ryan Galloway vowed to wait for Jo when she left Linden Gully for New York to complete her degree - that was until he discovered that her plans were to never return.
. . . Or so they thought. This is a story of coming home, of second chances, of learning to forgive and moving on from past mistakes and misunderstandings. It is an excellent read, and I recommend it to anyone who enjoys rural romances. I won this book in a competition run by Good Reads and the Publisher, and was requested as a winner, to give a review. My review is my own opinion and is not required to be positive.